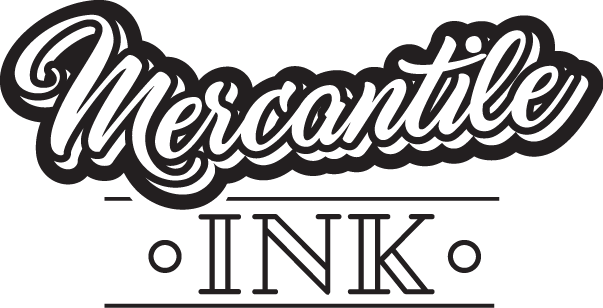 Mercantile Ink is a full-service apparel shop in Omaha, Nebraska. We custom screenprint and embroider apparel for a variety of occasions. Perfect for fundraising and community events, school spirit wear, corporate identity and uniforms, and more; our custom screen printing work showcases your brand wherever you go. We partner with leading apparel brands offering a full range of apparel items from t-shirts to sweatshirts, sweatpants and more. We formulate all of our ink colors by hand to ensure a custom match to your desired colors. This is especially important for corporate clients who want an exact Pantone® color match. Giving you the widest selection of quality products. Yes. We have graphic designers that can transform your idea into a beautiful design. The best format is a vector-based file such as .eps or .ai. We work in Adobe Creative Cloud. The minimum order for a single screen printing design is 24 garments. Minimum orders do not apply to embroidery projects. Yes. We partner with leading manufacturers to source quality apparel and brands. Common brands include Bella + Canvas, Alternative, Gildan, Adidas, Nike and many more. Can I supply the apparel item? The short answer is no. Several factors impact your finished product including the ink used, temperature and time of the curing process and more. We prefer to use tried and true garments that we are comfortable with to ensure a high-quality finished product. Yes. We can embroider a number of projects including apparel, totes, hats, blankets and more.